Thank You to Spaniel Louie Blog for this lovely article. If you’re active on social media in the canine community then you may already be familiar with Guru Pet Food. But if you’re not familiar, here’s your chance to learn something new! Guru was founded by pet parents Lisa and Andrew who originally set out to find a healthy but convenient alternative to home cooking. After many months of research, they discovered cold pressed food and all its benefits for our canine companions. Cold pressed food is a method in which ensures that the ingredients used retain all of their flavour, aroma, vitamins and nutritional value. Guru comes in bite-size pieces, suitable for any size dog, even puppies – isn’t that great?! You can grab a sample of Guru’s ‘Surf and Turf” cold pressed dog food on their website. We highly recommend you give it a try! While Guru Pet Food isn’t the cheapest and ranges from £24 for a 5kg bag to £48 for a 14kg bag, when it comes to your dog’s food, the cheapest isn’t always best! Guru is jam packed with nutritional ingredients, it’s worth the money and your pooch will definitely thank you for it! The geeks of Guru are fantastic in what they do and were even kind enough to send Louie two Field Trip bones, which he enjoyed immensely! 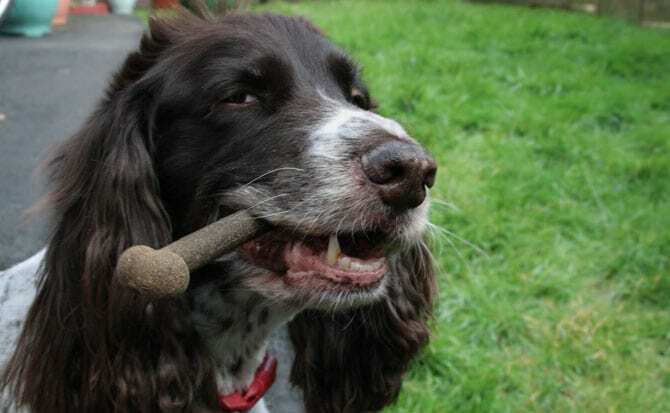 While the Field Trip bone is a delicious and mouth-watering treat, it can also be used a complete meal on-the-go (for a 4kg dog) – cool right?! Field Trip bones can be purchased on Guru’s website, two for £1.99 which is an absolute bargain! As well as the Field Trip bones, you can also purchase a larger Road Trip bone for £2.50, suitable for larger dogs (10kg). With the summer fast approaching, Louie and I will definitely be stocking up on Field Trip bones ready for all the adventures we have planned! 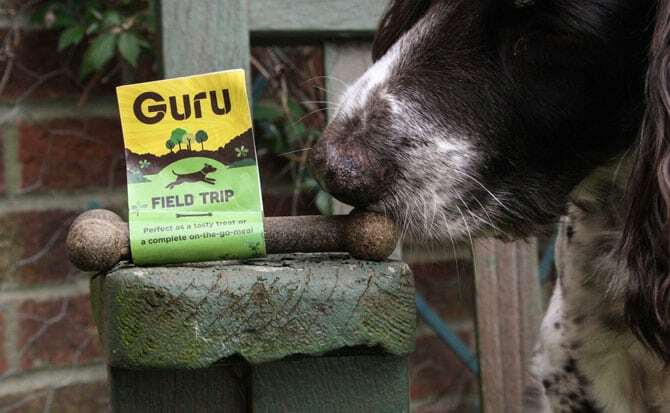 Overall, we think that Guru is a fantastic company that produces amazing products, our favourite being the Field Trip bones! Guru really care about their customers and provide excellent customer service which we love!